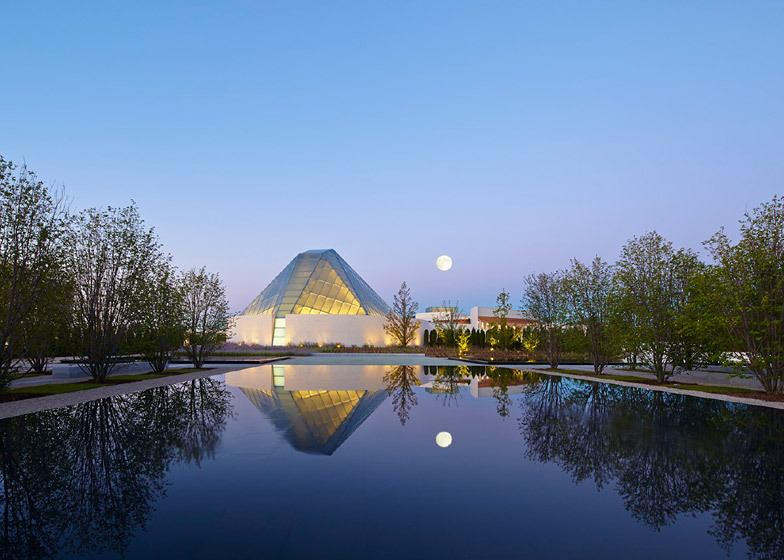 A faceted glass dome peaks above the prayer hall of Toronto's new Charles Correa-designed Islamic cultural centre, which shares a patch of parkland with Fumihiko Maki's Aga Khan Museum (+ slideshow). 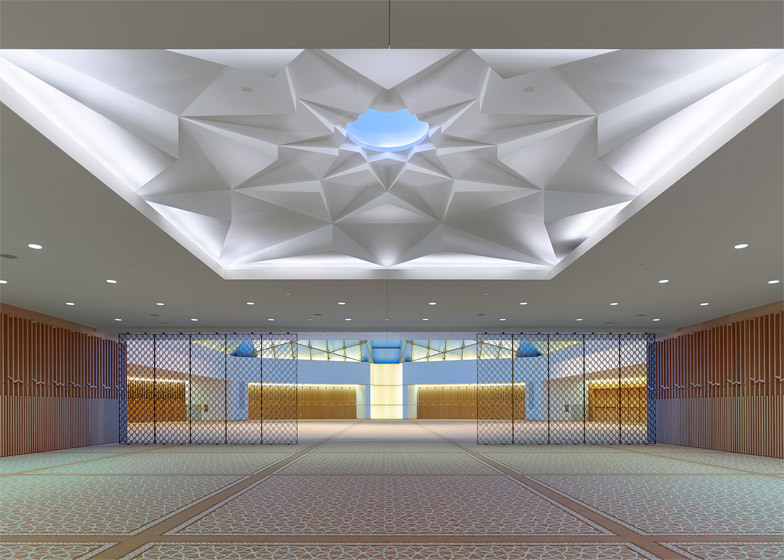 Indian firm Charles Correa Associates designed the Ismaili Centre in partnership with local studio Moriyama & Teshima Architects to provide a cultural centre for the Islamic community. 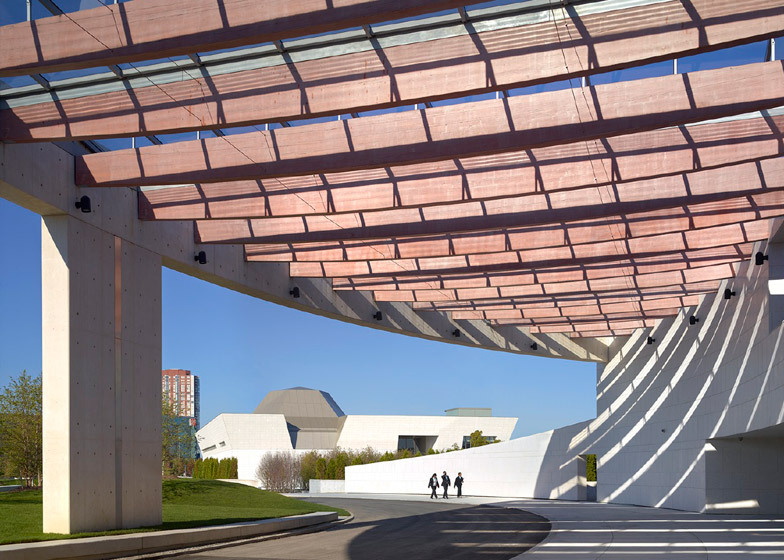 The building sits adjacent to the Aga Khan Museum – which Moriyama & Teshima also worked on – in a seven-hectare park designed by Lebanese landscape architect Vladimir Djurovic. 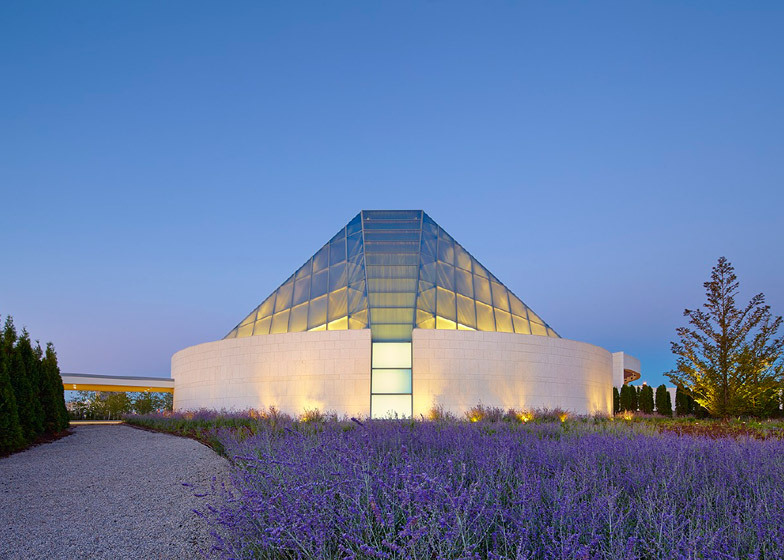 The structure features curving stone walls and an angular translucent glass dome, and is approached by a gravel path that cuts through beds of purple-flowering plants. "The entire site is a harmonious union of the spiritual, artistic and natural worlds," said Moriyama & Teshima in a statement. 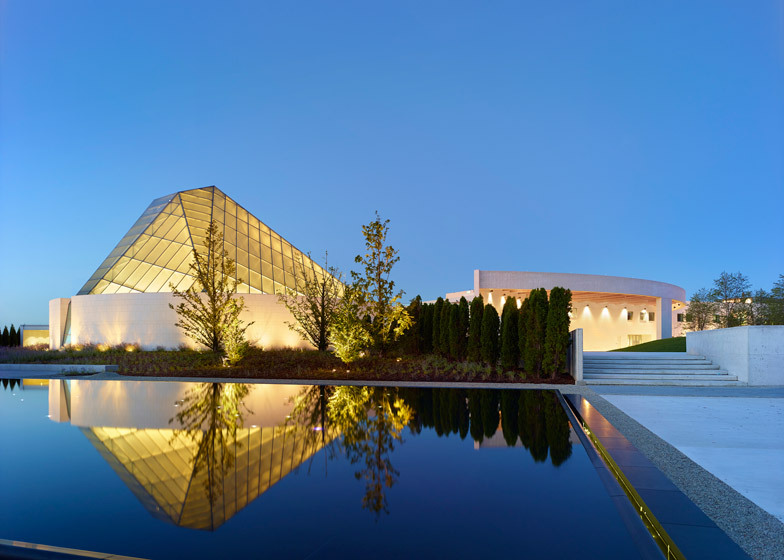 "The complex is a symbolic marker of the permanent presence of the Ismaili community in Canada, and an ambassadorial space intended to foster understanding of pluralism." Correa's vision was for the building to respond to the traditions of Islamic architecture using contemporary forms and modern materials. 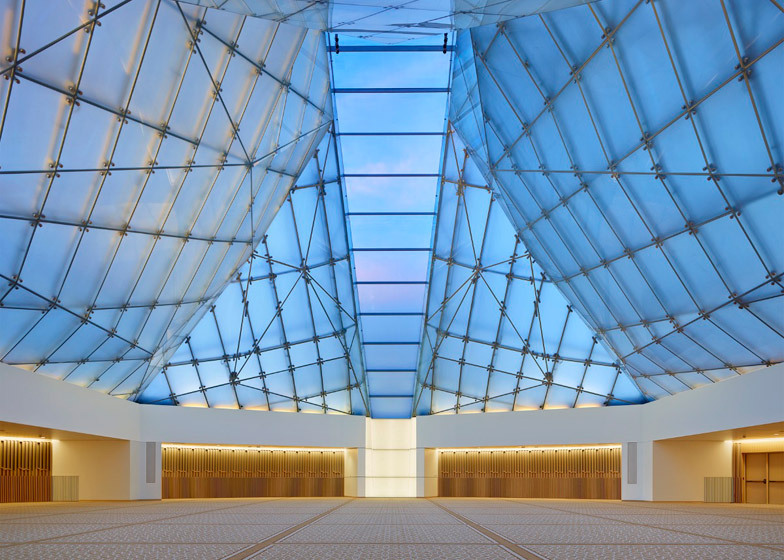 In the prayer hall – which is set at one end of the centre behind a pool of water flanked by avenues of trees – this was achieved through the creation of the crystalline roof dome. A strip of glass that runs up the centre of the roof is framed by a ladder-like arrangement of metal struts, while pieces of glass that complete the dome on either side are fitted into faceted frames. The panes of translucent glass diffuse the bright sunlight during the day, but allow the dome to glow like a beacon at night when the space is illuminated from within. Next to the prayer hall, an anteroom is sectioned off by metal grilles. 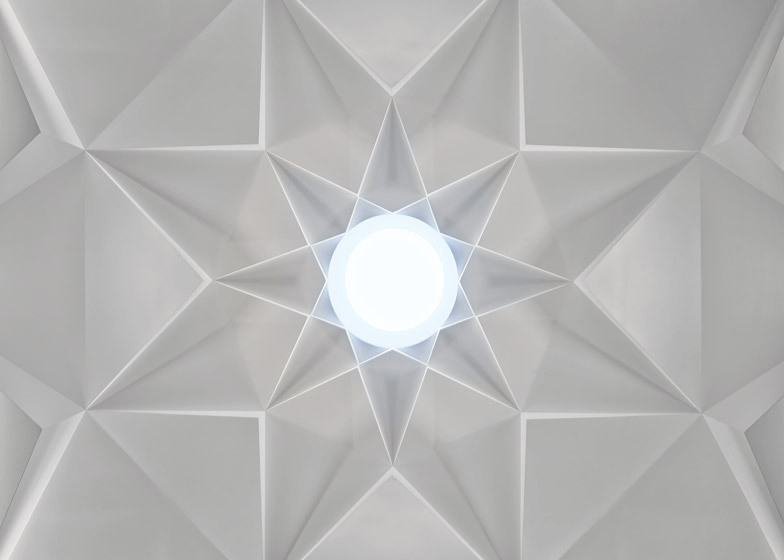 Here, a folded ceiling with a star-shaped form surrounds a circular skylight. A flight of stairs to one side of the dome leads up to a lobby by the building's entrance. Inside, tiled floors with geometric patterns are laid throughout. White linear blocks sprawl out horizontally behind the domed structure, providing additional congregating spaces, a library, classrooms and administrative offices. 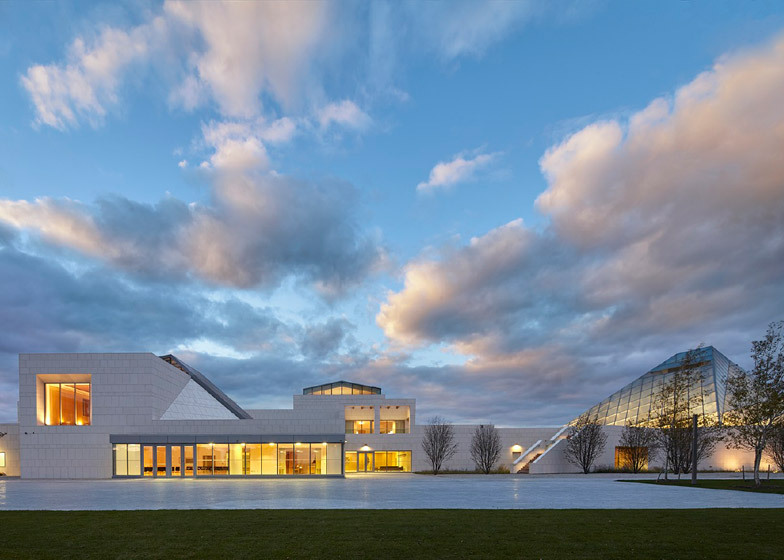 The Toronto Ismaili Centre was officially inaugurated on 12 September 2014, joining others located in Lisbon, London, Dubai, Burnaby and Dushanbe. 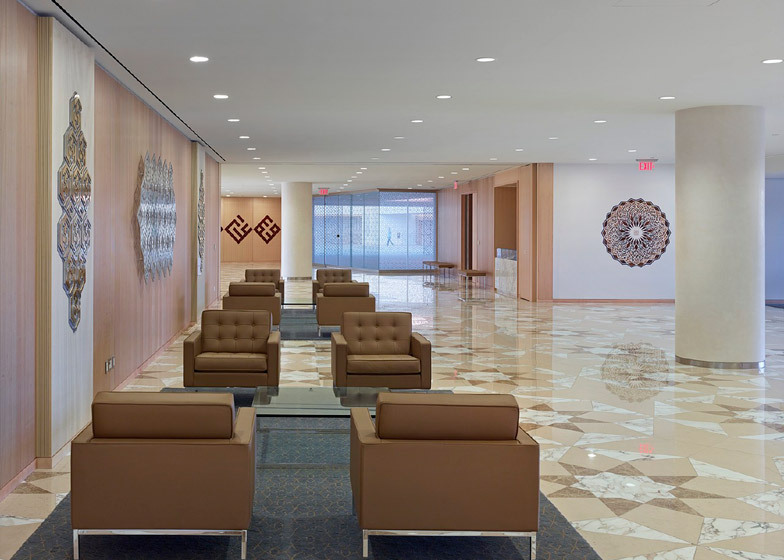 The overriding aim of the organisation is to safeguard the core values of the Ismaili Muslim community. The project was selected as the winner of an Ontario Association of Architects Design Excellence Award.